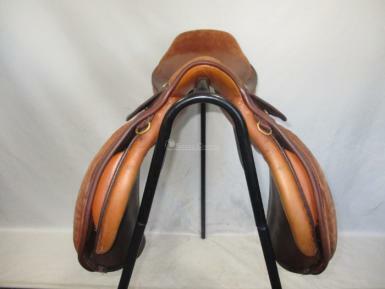 The Nelson Pessoa Jump saddle is exactly the same as the jump saddle Nelson Pessoa himself used. 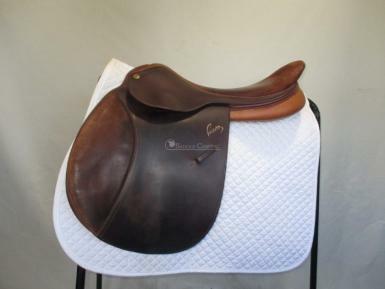 Designed with a narrow twist, doe skin seat and knee pads, perfectly placed stirrup bars and close contact memory flex closed cell foam panels all combine to give the rider the most balanced and comfortable ride. 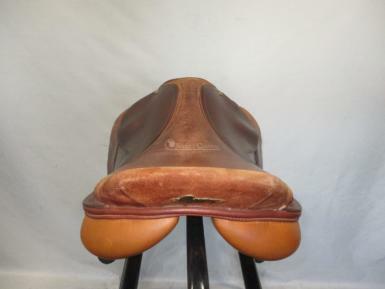 This is a made in France model. 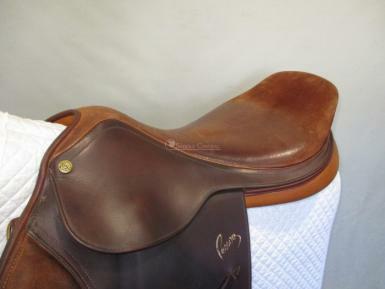 Wear/Damage: normal wear on flaps from stirrups, suede seat and knees in good condition. 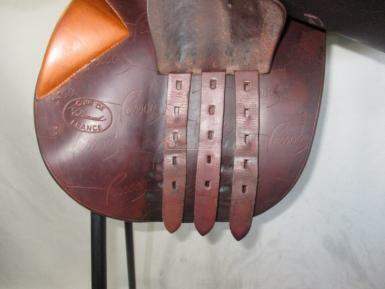 Tree Size Measured: Medium fit when compared to a Bates gullet gauge.